Perhaps the most popular Bulgarian theater actress, Stoyanka Mutafova, is bracing for her retirement at the age of 87. 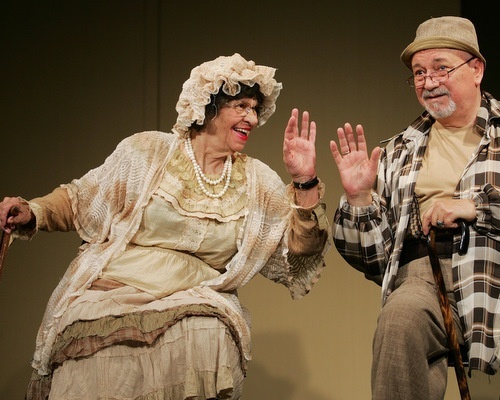 On Monday, June 1, 2009, Mutafova is presenting her last role in theater after more than 50 years on stage. Together with actor Iliya Dobrev, Mutafova is starring in "The Chairs" play by French-Romanian playwright Eugene Ionescu at the Satirical Theater "Aleko Konstantinov" in Sofia. Mutafova has recently approached the directors of the Satirical Theater with a suggestion that "The Chairs" be performed with the awareness that this is the last play she wants to star in, and will retire after that. Mutafova, who turned 87 in February 2009, was one of the founders of the Satirical Theater in 1956.